A single clip Pad Pod(mini wet bag) for out and about. 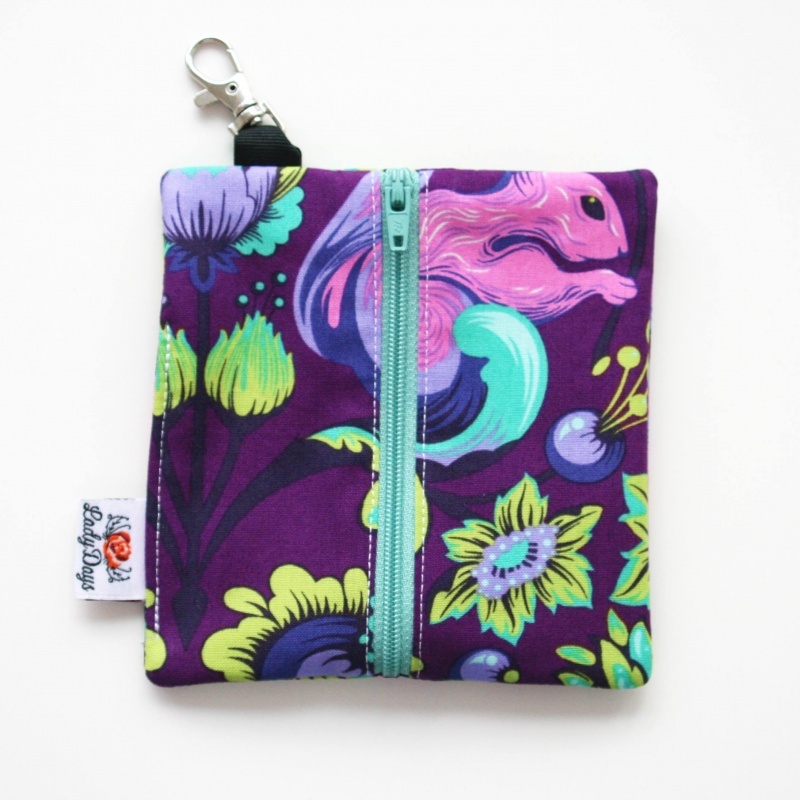 Can be used to store an emergency cloth pad or as a little purse. A single clip Pad Pod(mini wet bag) for out and about. Can be used to store an emergency cloth pad or as a little purse, soother pouch or even clip on your child's schoolbag and pop their dinner money/hairband/clips in it! This pod can hold one Lady Days Cloth Pad up to 11"
NOTE: the zip and seams are not waterproof - would not recommend filling with a solution. WASHING: Do not wash at more than 40 degrees C as any hotter will shorten the lifespan of your bag. Do not iron. Pattern placement will vary and will zip and ribbon colours also.